This vintage Mickey Mouse postcard was today sold on ebay for a winning bid of 9.5 British pounds. The reverse side has a stamp dated from 1932. 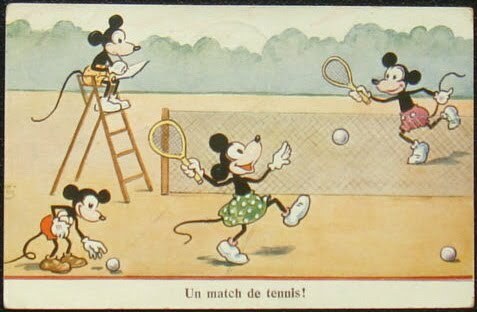 Even though the illustration's caption text is in French, it was published by the German label Hegelberg, which was one of the earliest publishers of Disneyic postcards in the world.